I discovered something when we moved to rural New York. Around here, nearly everyone has a side entry, back entry, or extra front entry that’s used instead of the front door. For awhile after we first moved in, I kept on looking on the front porch for any packages that were supposed to be delivered, and time and time again, they showed up at my back entry off the side of the house. Contractors, neighbors, deliveries…they all came to the back entry. Finally, I realized that’s just how it’s done here, and I’ve embraced it. I always decorate my front porch for fall, but this year I decided to go ahead and do the back porch too. 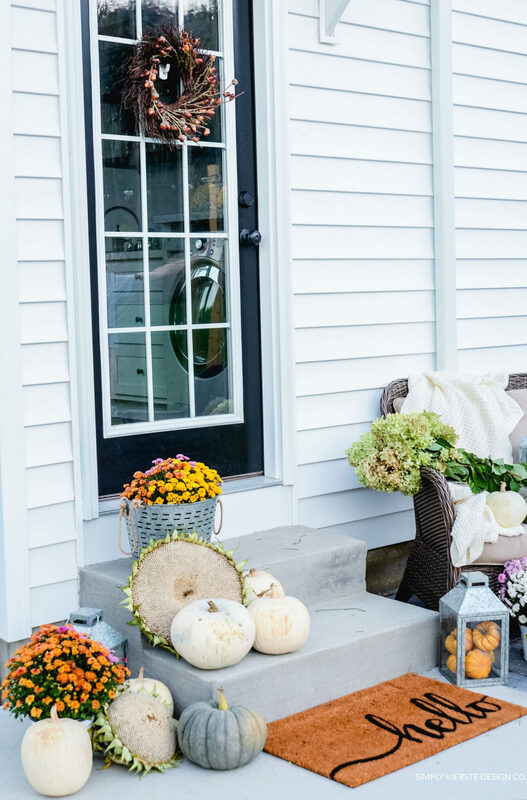 Pumpkins, mums, lanterns, a cozy throw, and wicker chair came together quickly and easily for a Simple Fall Porch that I love! I really love how it turned out. It adds so much to our back patio, so it’s not just for visitors, it’s for us too! My kids come through this door before and after school, and with so many friends coming through that door, it’s a perfect welcome. This post is sponsored by Better Homes & Gardens at Walmart. As always, all opinions are 100% mine. I’m all about simple–it’s my favorite way to decorate, both inside and outside Old Salt Farm. 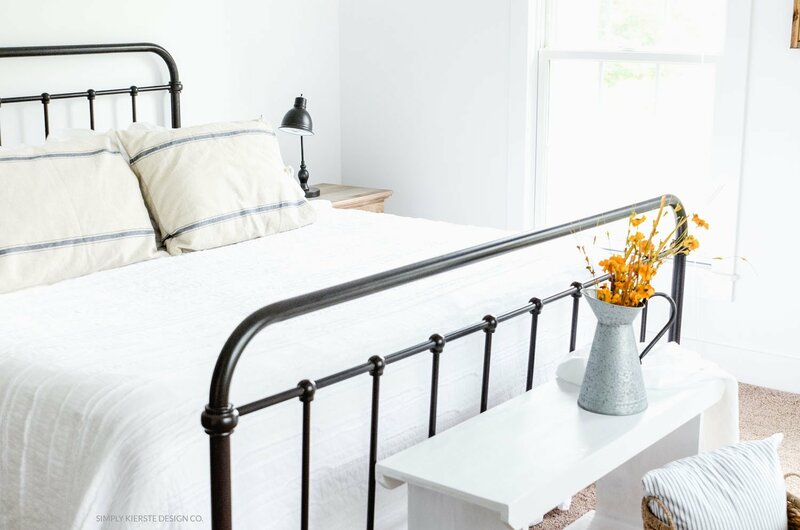 Better Homes & Gardens at Walmart is one of my favorite places to shop, because they make it so easy with core pieces that help me pull together a space that’s just what I was looking for. Did you know Better Homes & Gardens at Walmart has mums? It’s true! They come in a variety of fall colors, including orange, white, purple, and yellow. They’re a great size, and perfect for adding to the planter of your choice. I bought a bunch, and used them to a pop of color to my fall porch. 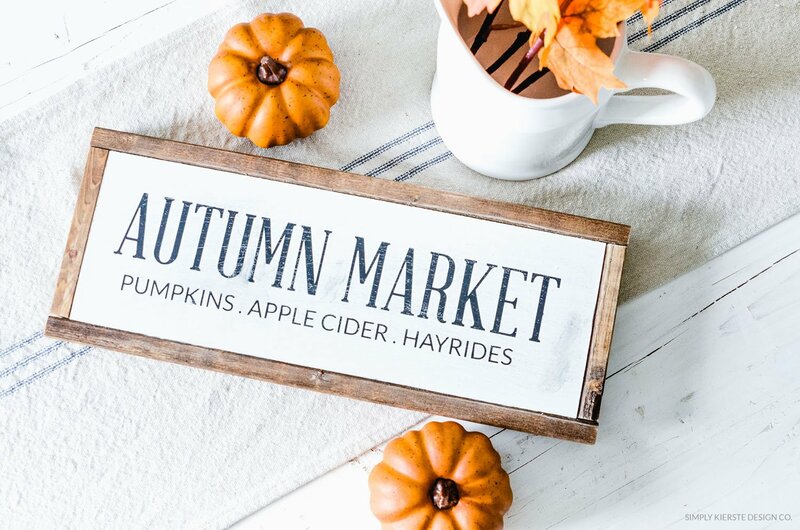 A chunky throw on a wicker chair added warmth and coziness, and I added pumpkins and the cutest galvanized lantern. I love all things galvanized, and this lantern is perfect for fall, but will move seamlessly through other seasons and holidays. I put a candle in one lantern, and filled another one with mini pumpkins. 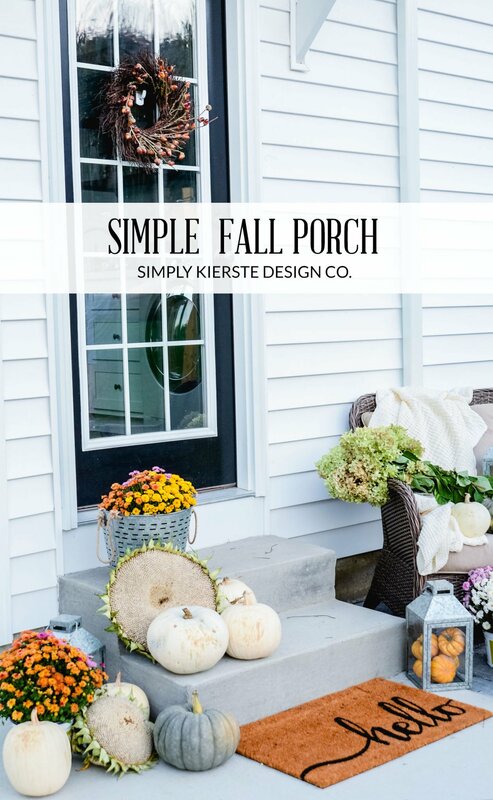 With a few pumpkins and sunflowers tucked around the mums, I had a simple fall porch that I adore–and I did it all in less than 20 minutes! 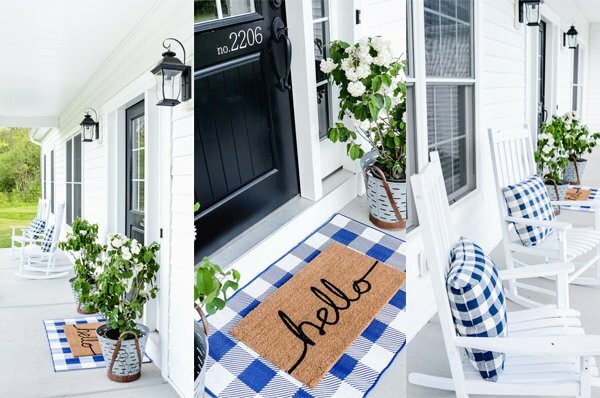 Love how the color of the mums add warmth and how welcoming this back porch looks. So cute! Where or where did you score the galvanized buckets that hold the mums? Thank you! I got them from Target a couple of years ago, in their gardening section. Now I’m wishing I would have bought more! Beautiful! You cannot go wrong with mums, they are sure to brighten up the area. Question where did you get that wicker chair?